For the actual crown, see Tudor Crown. 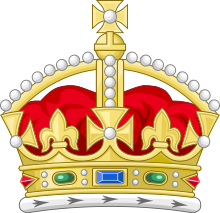 While various crown symbols had been used for this purpose for many years previously, the specific Tudor Crown design was standardised at the request of Edward VII. 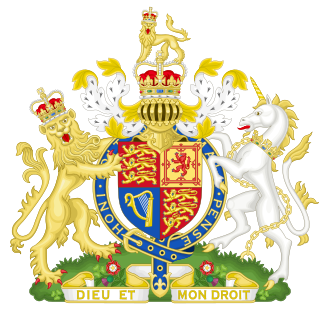 It was never intended to represent any actual physical crown, although in shape it bears a close resemblance to the small diamond crown of Queen Victoria. In Canada, the Tudor Crown has been used since 1907 in the Canadian Government Inspection Legend on inspected meat products. The inspection legend (or symbol) consists of two concentric circles: the outer ring has the word "Canada" at the top and a number at the bottom identifying the place of production; the inner circle contains a black and white rendering of the Tudor Crown. ^ Boutell, Charles (1864). 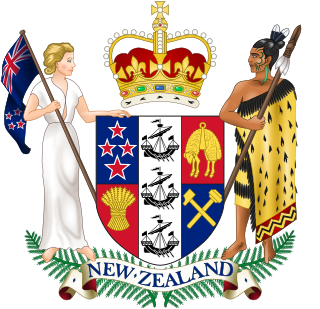 Heraldry, Historical and Popular. p. 318. Retrieved 24 March 2015. 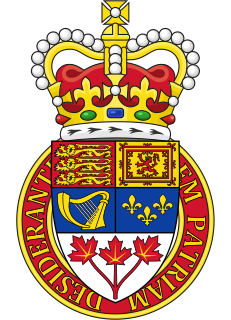 The Arms of Canada, also known as the Royal Coat of Arms of Canada or formally as the Arms of Her Majesty The Queen in Right of Canada, is, since 1921, the official coat of arms of the Canadian monarch and thus also of Canada. 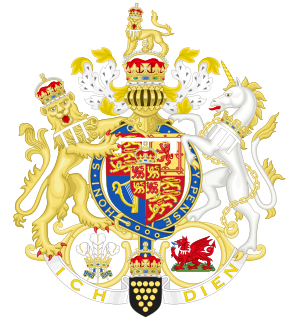 It is closely modelled after the royal coat of arms of the United Kingdom with French and distinctive Canadian elements replacing or added to those derived from the British version. 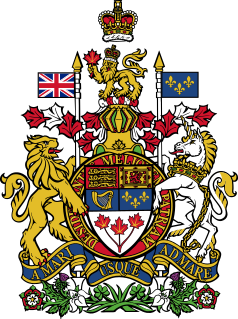 The coat of arms of Ontario is the heraldic symbol representing the Canadian province of Ontario. The arms contains symbols reflecting Ontario's British heritage along with local symbols. 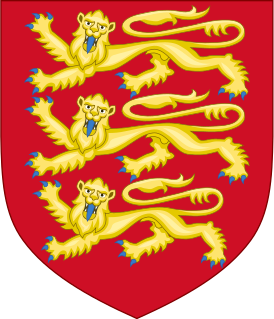 At the upper part of the shield is the red cross of St. George, representing England. 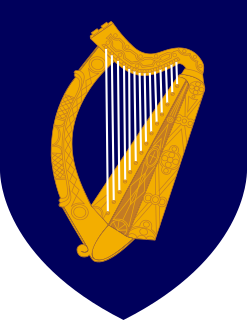 The lower portion of the shield features three golden maple leaves on a green background. Queen Elizabeth II has and has had a variety of flags to represent her personally and as head of state of 16 independent nations around the world. They are usually used on any building, ship, car, or aircraft where she is present. The coat of arms of the city of Victoria was granted in 1962, and then subsequently registered with the Canadian Heraldic Authority in 2005. While the city employs a logo for common use, the arms are reserved for legal documents and for more historical or traditional purposes and events.